Brian Noring is a veteran electronic music hometaper from Iowa who had been inactive until recently inspired to return to music by Hal McGee, another homemade music luminary who long time Aural Innovations readers will know. Seeing Brian back in action, Atlanta area electronic musician Dave Fuglewicz reached out for a collaboration. Brian sent him a couple CDs worth of source files which Dave “twisted and mutated, adding my own synth voices using my modest collection of VST software synths”. The results can be heard on their new collaboration, Furious Cactus. Among the darker pieces is the title track, with its cavernous, bowels-of-the-starship space electronics. The music conjures up images of a claustrophobic stroll through the ship’s engine room, with all the attendant machinery and a looming alien presence. The music is minimal but weaves its way along a slowly evolving linear path. The Forbidden Road has an ominous feel, with vaguely Proggy keys. I like the multiple cosmic effects working at once, but not too busily, and there’s an interesting use of percussive effects too. The Transoxian Express is similarly foreboding and would make a great soundtrack piece. Veering in a somewhat different direction is The Bells Of Axum. A valium-like ambient foundation is set for the bells, which makes for an interesting contrast and gives the music an uplifting melodic boost. Bonafide is similar, combining freaky holiday bells with whooshing UFO and cosmic windswept effects. I wonder if Netflix has Santa Claus Conquers The Martians? I dig the whimsically frenzied main theme on Terrobolem Parts 1 and 2. The Void Is The Boundary is a wild, multi-layered roller coaster ride that takes the spaced out themes that have characterized the album and adds a healthy dose of noise. Fractal Companions features a cool combination of busily flittering effects, a lovely melody, and damned if the beloved droid r2d2 isn’t the lead singer. And Chuchunga Chant has what seems to be a strange spaced out duet between a church organ and kazoo (which is probably an efx’d voice). 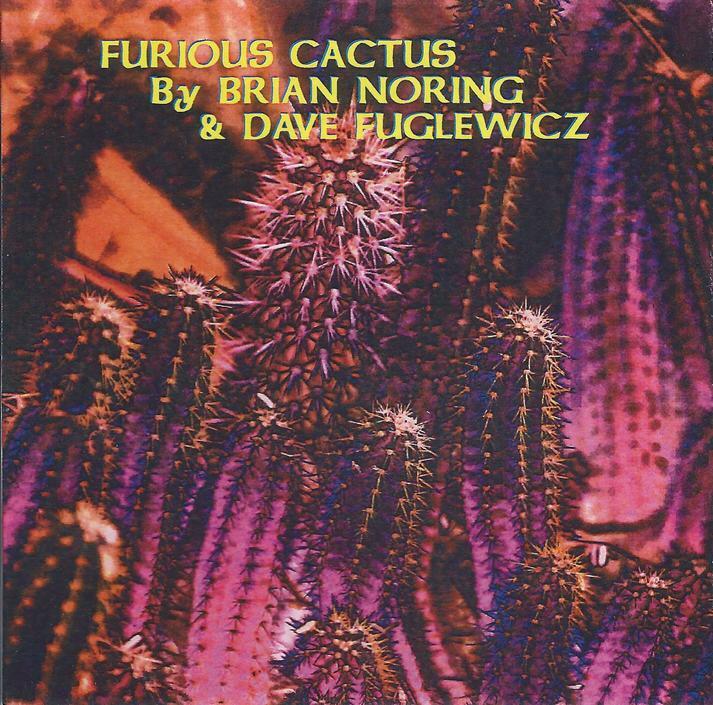 In summary, Furious Cactus is a varied set of image inducing electronic space excursions. It’s an intriguing listen from start to finish, in large part due to the combination of disparate elements that come together so seamlessly. Check it out.